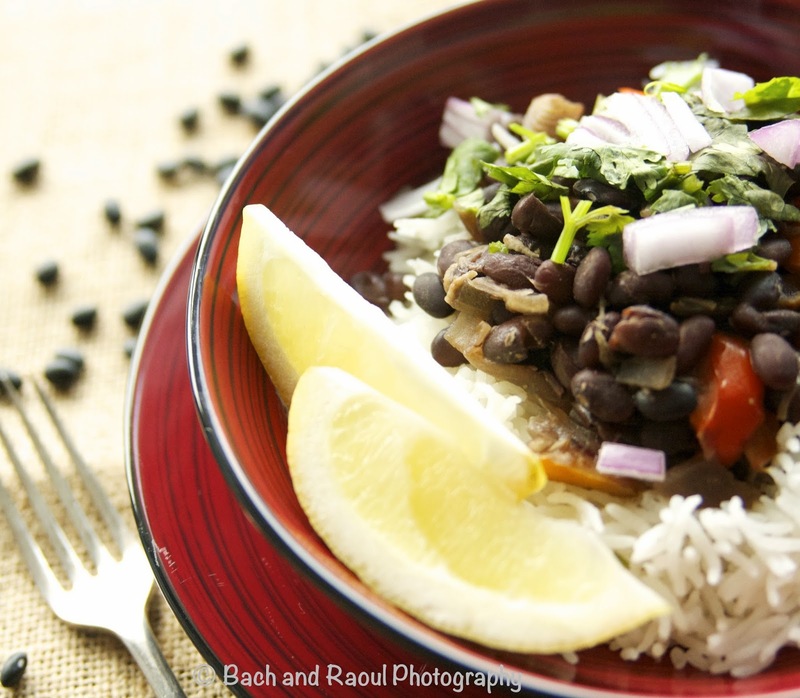 Don't be fooled by its humble name, beans are some of the most satisfying meals to put together for a weeknight. 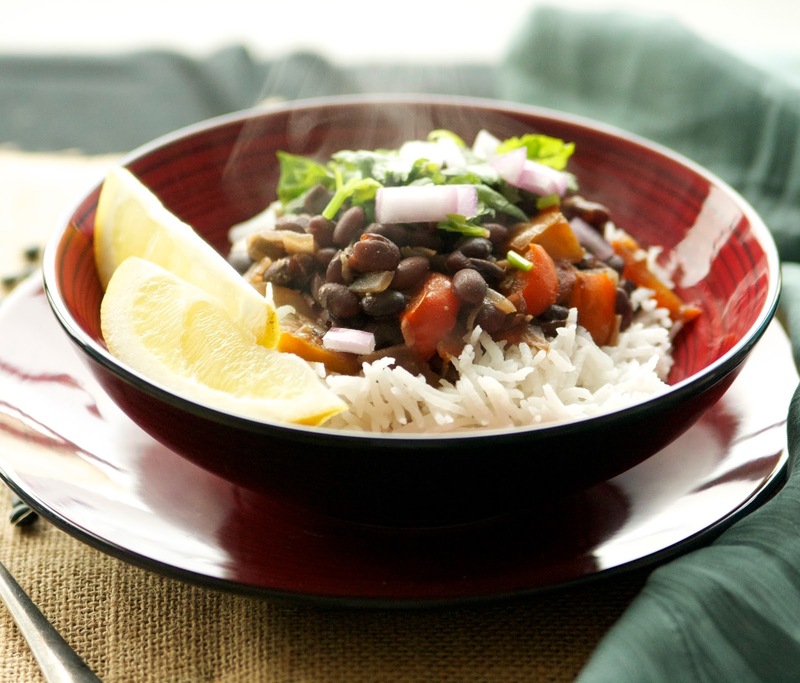 They are easy, healthy and hearty enough for the most die hard carnivores to not miss meat. 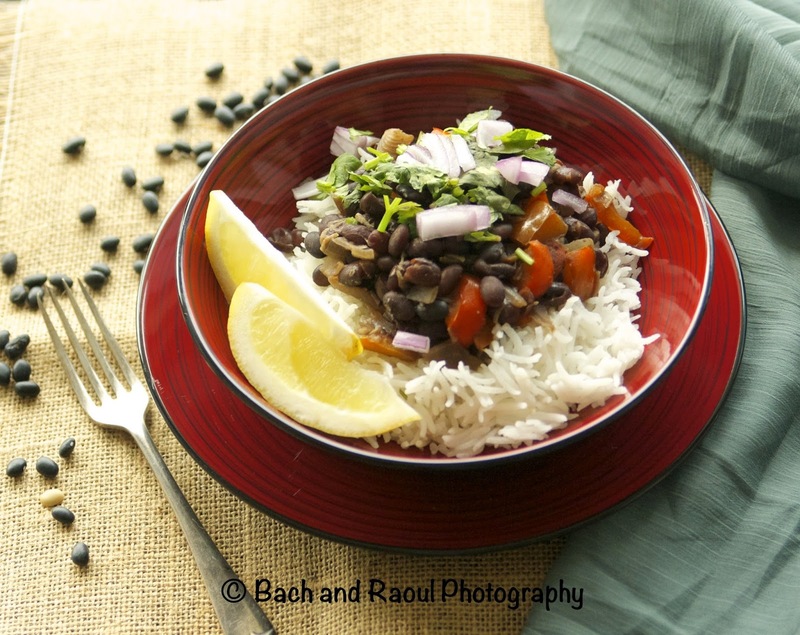 A fantastic source of protein, beans are a vegetarian staple and true comfort food. 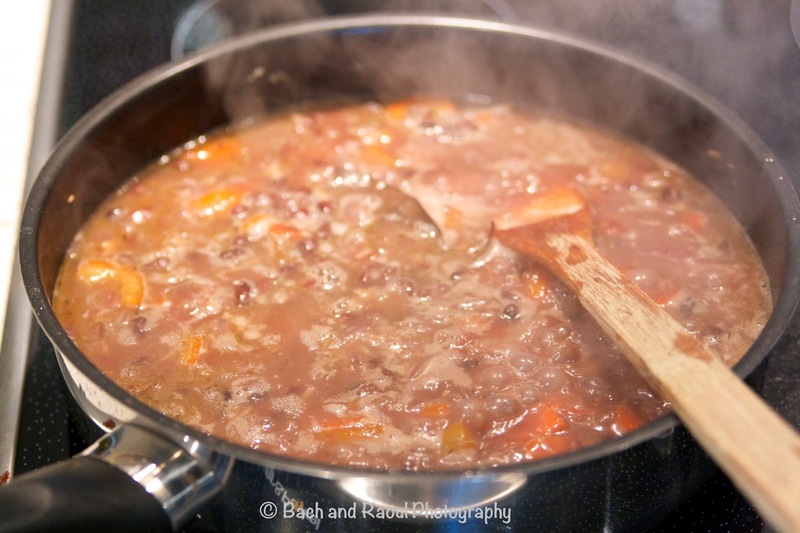 Though cans of beans are really easy to use, cooking beans from scratch is not nearly as labour intensive as commonly believed. I usually soak the beans overnight but there are many that skip this step, swearing by the flavor of un-soaked beans. 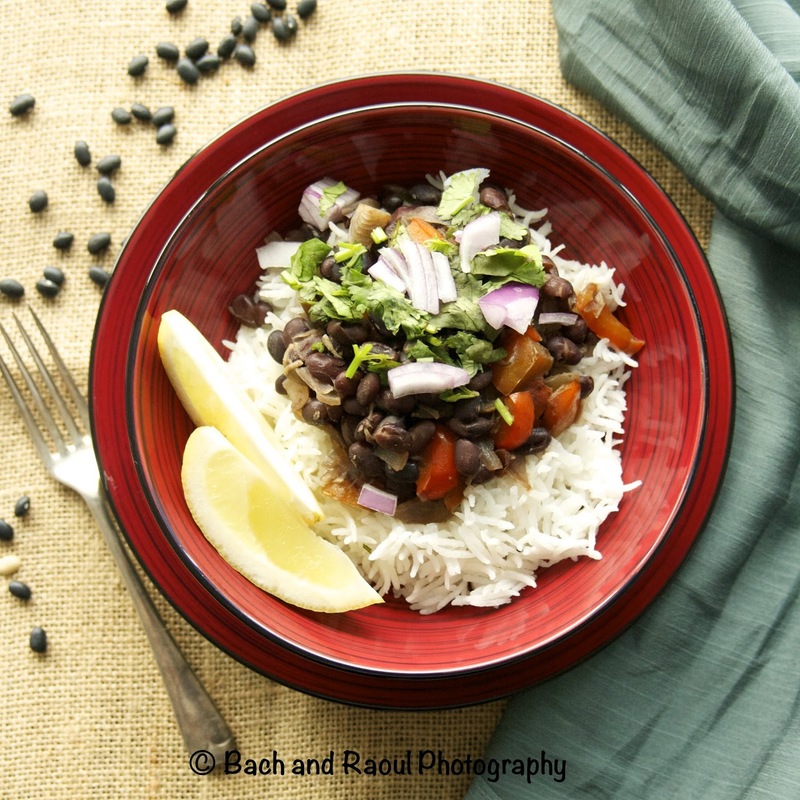 This recipe is adapted from Nydia's Kichen, which incidentally has several really good tutorials on Cuban recipes. Rinse the beans and pick out any small stones. Soak them overnight in plenty of water. 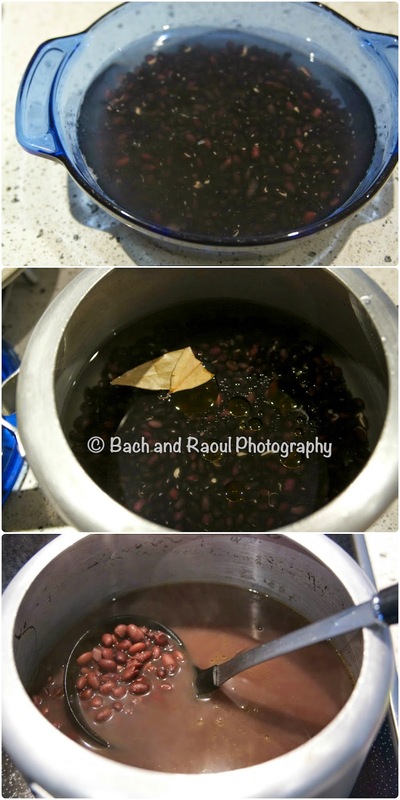 The next day, rinse the beans and pressure cook them in about 5-6 cups of water, salt, bay leaf and olive oil. 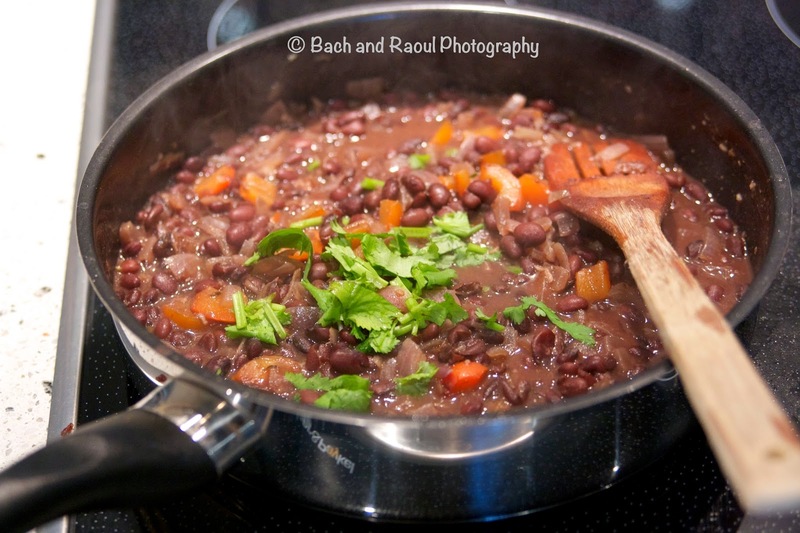 If you don't have a pressure cooker, you can cook the beans in a skillet. It will need longer to cook - about an hour on medium to low heat. 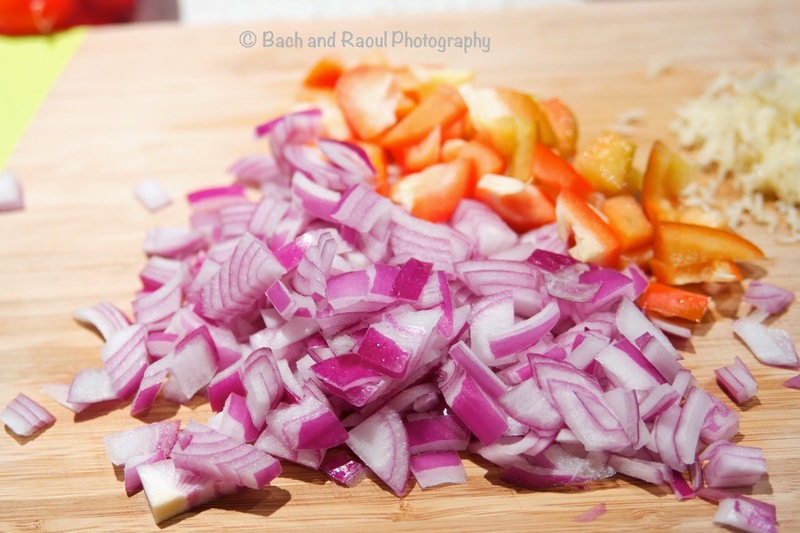 While the beans are cooking, chop the onions, mince the garlic and dice the bell peppers. 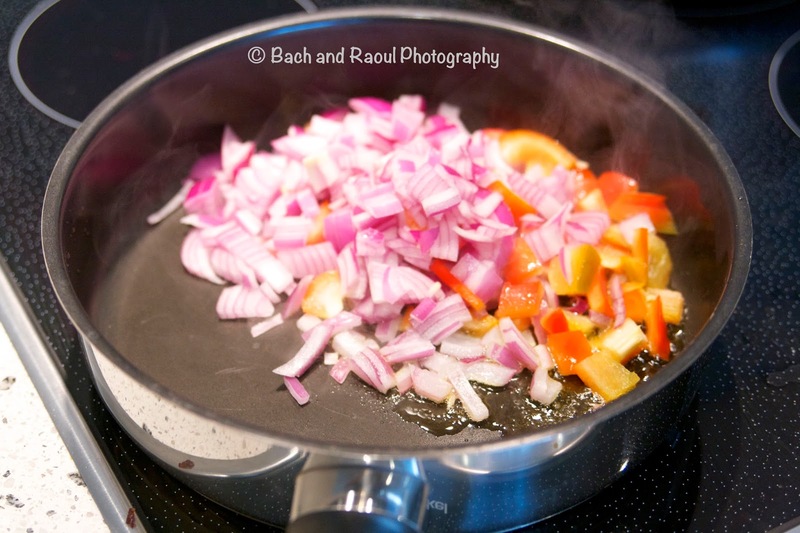 Heat about a tablespoon of olive oil in a pan and add the onions and bell peppers and cook for a couple of minutes till they start to cook. 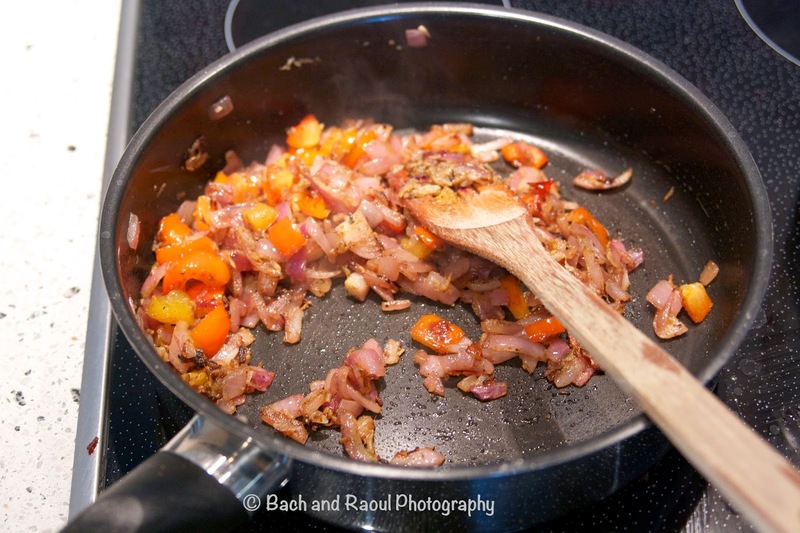 Add in the garlic and continue to cook for another couple of minutes. 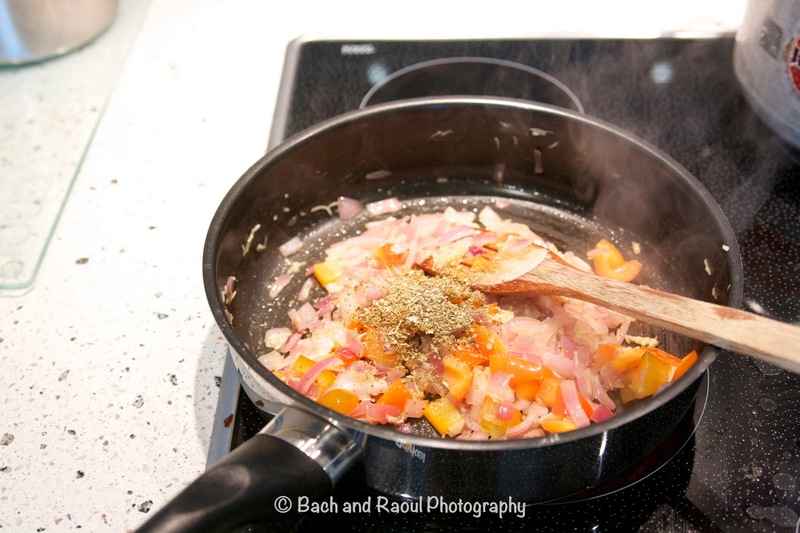 Add the oregano and ground cumin and cook it all together for another minute or two. Add the cooked beans and mix it all together. Add the vinegar and sugar. Add salt to taste. 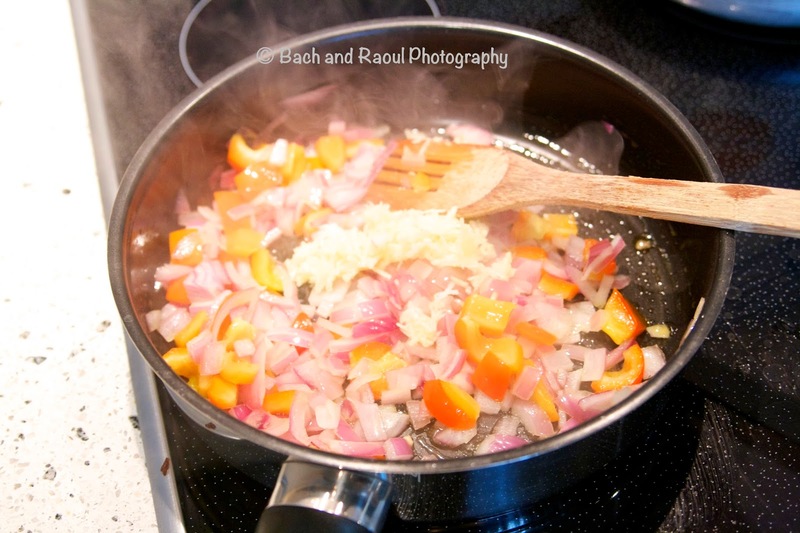 Add the wine and cook it for about 5 to 10 minutes till it gets to the desired consistency. 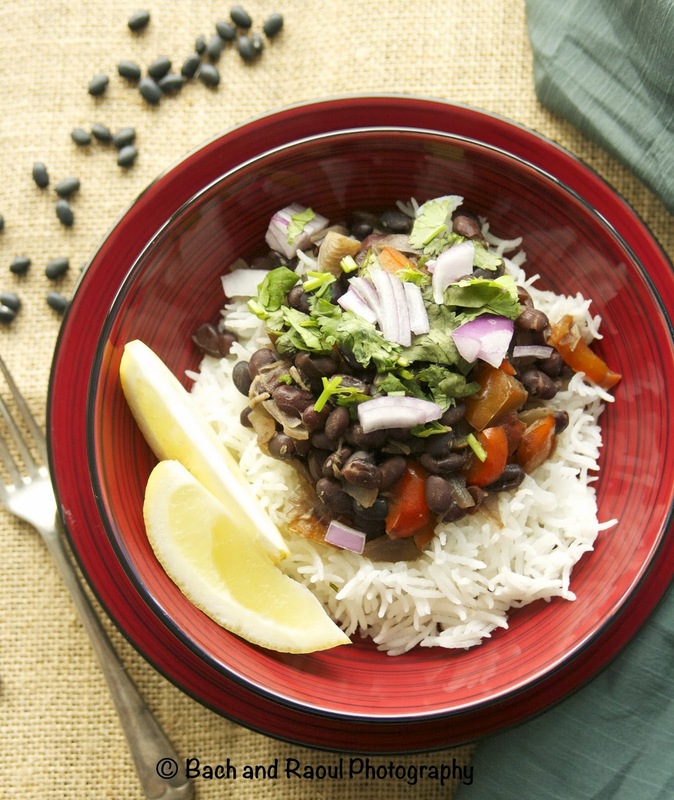 Serve with cooked white rice.